Athletic Abs works like magic to strengthen your core. The Body Coach­® ,Paul Collins, Australia’s Personal Trainer™, takes the guesswork out of training. He expertly guides you through elite level of abdominal training progressions. Included in this book are the top 10 exercises of all time using body weight, medicine balls, fitness balls and strength training drills alike. He does this by using all planes of motion. Collins offers pre- exercise set-up to prepare you for the workout. Each drill provides a different effect on the abs. Also included in Athletic Abs are sports-specific abdominal training programs, balance sports, ball sports, golf, martial arts, racquet and bat sports, running sports, and swimming. There is bound to be a sport included that you love, and will enjoy working on more. However, all the instructions and exercises in this book will build your abs. Illustrations, diagrams, and photos will show you proper posture and position for the various exercises. Categories: Health & Fitness, Fitness. Tags: abs, athletic, exercise, workout. Athletic Abs provides critical function in daily movement, sport and physical activity by helping improve posture, motor control of deep stabilizing muscles and the abdominopelvic-thoracic cavity relationship. The synergy that occurs promotes better muscle control, breathing patterns, lower back protection and increased athletic performance. It includes sample training programs for general fitness and sports performance. 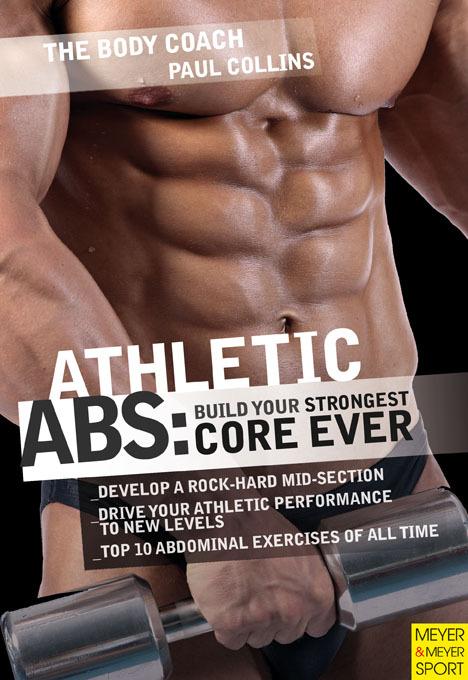 Athletic Abs will help you develop core-strength, power, and a rock hard mid-section to aid in driving your athletic performance to a new level. Paul Collins is the founder of The Body Coach® fitness products, books, DVDs, and educational coaching system. The purpose it to help people get fit, lose weight, look good and feel great. He has been coaching since age 14. He has personally trained world class athletes and teams in a variety of sports from track and field, squash, rugby, golf, soccer and tennis. Brawn, third edition is the fully updated third edition of the classic book that created a bodybuilding revolution.